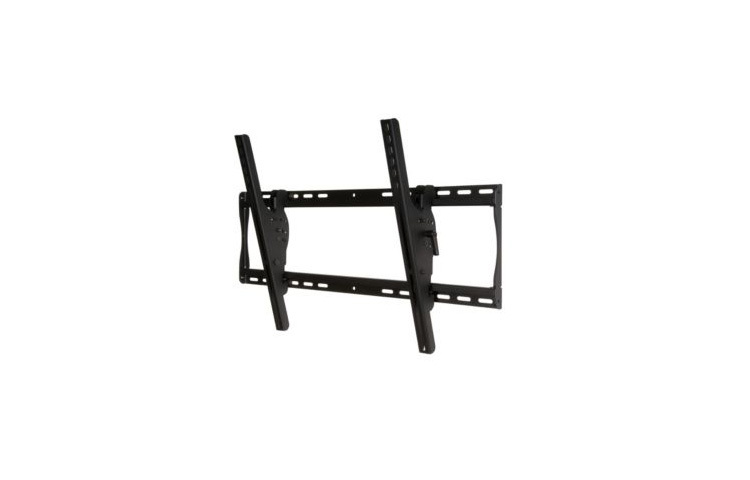 For 32″ to 56″ flat panel displays. The ST650 Universal Tilt Wall Mount is indispensable when it comes to display placement flexibility. It features open wall plate architecture that delivers increased electrical access and cable management options. Its exclusive pre-tensioned universal tilt display adapters deliver the ultimate ease in horizontal display adjustment and viewing angle flexibility. Universal mount fits displays with mounting patterns up to 750 x 449mm (29.52”W x 17.67”H). Open wall plate architecture allows for total wall .access, increasing electrical access and cable management options. Adjustable up to 15° of forward tilt and -5° backward tilt for optimal viewing angle. Pre-tensioned universal tilt display adapters allow for tilt adjustment without the use of tools. Easy-grip lever locks the display position into place. Optional IncreLokTM feature offers fixed angles of -5°, 0°, 5°, 10°, 15°. Horizontal display adjustment of up to 8″ (203mm) (depending on display model) for perfect display placement. Universal display adapters easily hook onto wall plate for fast installation. Mounts to wood studs, concrete, cinder block or metal studs (metal stud accessory required). Comes with Peerless-AV’s Sorted-for-You™ fastener pack with all necessary display attachment hardware.